Each school year brings new educational opportunities. It is with great excitement that I have been provided the opportunity to be a part of the Camden Middle school team. I believe that each parent, teacher, and community member plays a vital role in the success of our students. I invite all to join in our efforts to ensure that academic success is achieved by our students in a safe and orderly environment that fosters life long learning and creativity. Please feel free to visit our campus and our website often. GOOD NEWS!!! STREAM Academy registration has been extended. All eligible rising 3rd -8th grade students may register through April 26, 2019. The dates for the academy are June 3rd – 6th. The cost is $75. Registration forms may be found at our front office. Students will experience an exciting time exploring activities focused on science, technology, reading, engineering, art and math fun! Hope to see your child there!!! 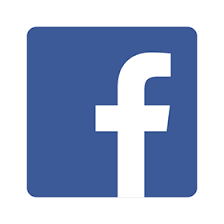 Please click on the Facebook icon and follow us on Facebook! Want text messages of upcoming school events? Join CMS Announcements on Remind. Click the cell phone to sign up. Temporary positions are available for a tutor with any certification or a pass rate in the content area GACE. Interested candidates should contact Dr. James McCarter directly for details. Dr. McCarter shall be contacted at (912)729-3113 or jmccarter@camden.k12.ga.us.